O Henry quotes photo-blog images for weekly post of October 15th to October 19th by Author Scot Fin. Well, they may not be musty, maybe I need more old books for that effect, but I finally have my bookshelves organized. Can’t say the same for many other new house projects we still have to do; subsequently cutting into social media time … reading time … oh yes, writing time too but they are projects that are enjoyable in their own way. 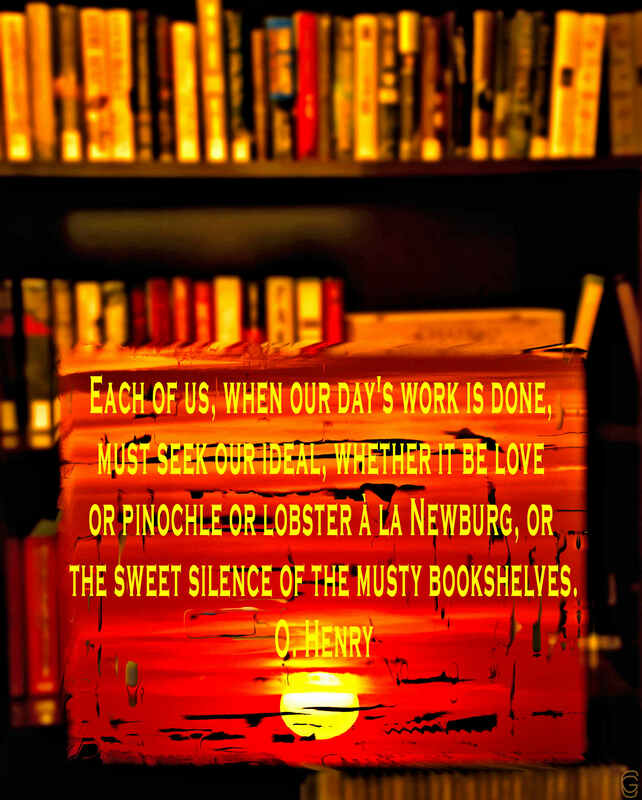 At least, when the day’s work is done and sunset overtakes the bookshelves, I can enjoy their sweet silence now.